With the Lyoness Cashback customer card you can earn money from every purchase in our company, as well as in all other partner companies in Estonia and abroad. This is one universal customer card that connects many countries and all sectors of the trade. Cashback card is valid for more than 550 affiliate companies in Estonia and more than 75 000 affiliate companies in 300 000 sales outlets in 47 countries. Check out other partner companies here. The customer card is FREE and unbound! Recommend the Cashback card to others and earn the friendship bonus. Using Astrum Kivi OÜ Cashback card, you win double from your purchases! 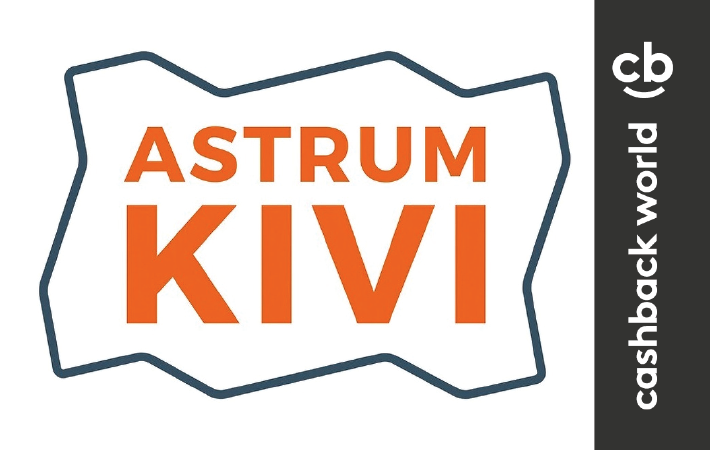 At every purchase made in Astrum Kivi, the 2% of the purchase amount will be returned to you as Cashback. As soon as your Cashback account has accumulated at least to 5 euro, it will be credited to your bank account. So, just make money back from your purchases - and this is always the case when you buy with your Cashback card! In addition to Cashback, you also earn Shopping Point’s (in Astrum Kivi 2.5 Shopping Points per 100 euro purchases), which you can use on other partner companies to reduce the price for you from the selected product. The value of one shopping point is at least 5 euros. This saves you a lot of money when you buy! Fill out the form and join the Lyoness loyalty program right now. Before sending, check your details and enter the security code! NB! Fields marked with an asterisk are required.